One of Doris Kearns Goodwin’s book’s Team of Rivals explores how Lincoln selected and worked with a cabinet composed, among others, of three gifted competitors for the presidency. You, like Lincoln, seek to build a team. Only in your case, you don’t gather rivals. To form your board, you organize gifted individuals to form a team of relationships. Recruiting Nonprofit Board Members: What Is the Most Important Characteristic to Seek? You’re recruiting board members. Which of the following represents the top trait to pursue? The answer is d. Something else. While having board members with means, great connections and people skills represent desirable characteristics, you need members who can think strategically. 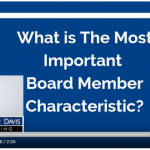 What Is The Most Important Board Member Characteristic? Do you want to recruit new board members? What is the most important characteristic to seek? The ability to write large checks? An extensive network of friends? Or, how well they work with others? All of these characters will provide value to your nonprofit organization. However, the key characteristic is something else. Watch to learn more. “We ask our board to get five people to donate, and they do,” the speaker said. “How do you do that?” came an incredulous cry from the audience. Learning that a board helps with fundraising should not leave nonprofit leaders incredulous. Healthy boards engage and lead. Healthy boards support income growth. 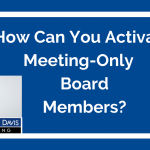 How Can You Activate Meeting-Only Board Members? Your board members are active at meetings, but otherwise uninspired to help with fun social media and easy fundraising tasks. List to this video to discover your next steps on this good-to-have-challenge. If you have any advice on how to grow nonprofit resources and revenue, please leave a comment under this post to share them with others. 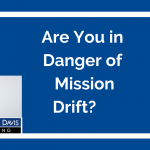 Are You In Danger of Mission Drift? Quick Turn Around! What is mission drift? How can you avoid drifting away from what’s most critical to your organization? Watch this video to learn the most important questions to ask to avoid mission drift. 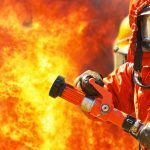 Nonprofit Conflicts: What’s Your Policy Fire Suppression or Controlled Burn? As I write this, California still blazes with thirteen fires. We have family near one fire, so I’m counting. Reporters tell us that this fire rages in an area that has been fireless for 40-years. 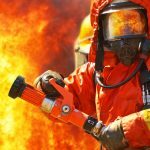 Blazing fires brings up a nonprofit management question: What is your fire policy? Do you stomp the flames out immediately? Do you let them burn? Or, do you set fires, that is, controlled burns? 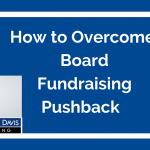 How Can You Overcome Board Fundraising Pushback? When you ask your board’s for help, do you get resistance? Discover the three most common reasons for pushback. Your new insights will help you to turn resistance into energy growing revenue. 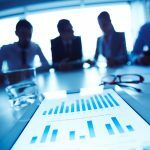 Why Does Your Board Micromanage? It was a beautiful August morning. Twenty campers and four counselors outfitted in orange lifejackets paddled silver canoes across a glassy blue lake in northern New Hampshire. In response, all twenty campers moaned in unison about their starvation. It started with a threat, from a board member in the midst of a board meeting. Silence hung in the room like fog at dawn. I was beginning my third job with a nonprofit. The first two positions were highly-sought-after spots with low-pay and high-perks. What is the Best Way to Do Strategic Planning in Your Nonprofit? Is Your Greatest Income Challenge What You Think It Is? All Rights Reserved	© 2019 Copyright Karen Eber Davis Consulting. If you're looking for a treasure trove of nonprofit wisdom and insights, then you've come to the right place. Members receive proven techniques for rapid, enduring results and member-only insider tools. Join today to receive your free Welcome Bonus: 19 Revenue Dos and Don’ts for 2019.